I was trying out the seaweed puncher Papa bought from Tokyo during his one week business trip last week, on my boy's oatmeal porridge with an egg and honey. He did not like oatmeal and I was surprised he actually asked for it. Besides oatmeal porridge, I also made sure he has his vegetables; broccoli, carrots, corns and fruits; grapes and blueberries. Some of the loot Papa brought back - 2 bento boxes, 2 sets seaweed punches, 3 belt, stainless steel fork and spoon and chop sticks in nice cases which cost around SGD115. 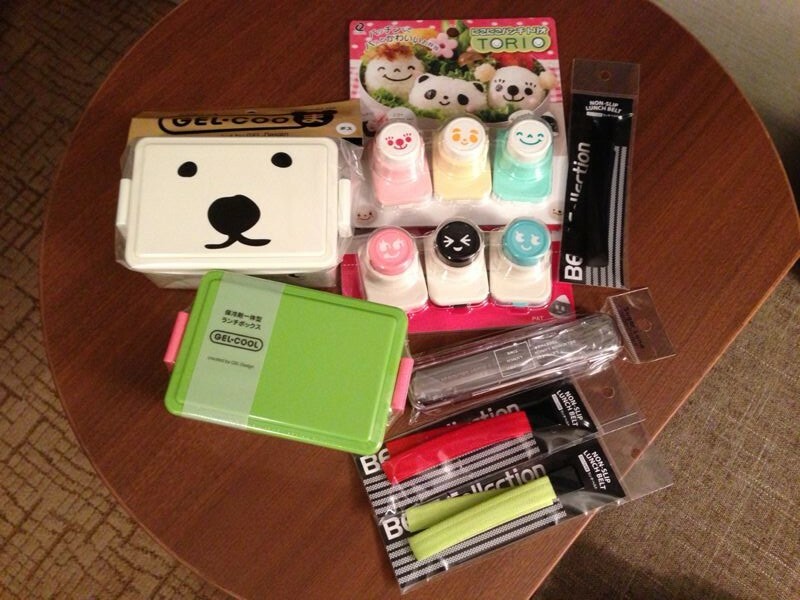 And they are all made in Japan not China. 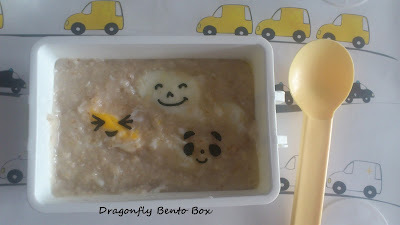 I love all of them and used the bear bento box for my son's oatmeal porridge today. 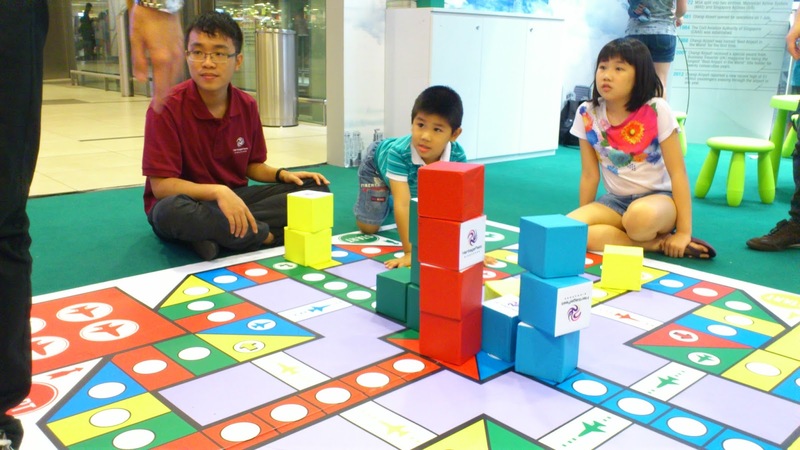 This year's Heritage Festival held in various shopping centres, community and cultural spaces in Singapore from 19th to 28th July 2013. One of which was at Changi Airport with a theme 'Taking Flight' exhibiting the history of construction and completion of Changi Airport. It was pure coincidental that I came to know of this festival. I was there for lunch on a week day alone (with a purpose to exchange the faulty sunglass I bought from Sunglass Hut at JEM) and saw the display. There were also a few personnel playing plane chess then. Therefore, I brought my son there to check out the exhibition and activities they had on last Saturday after his weekly soccer class. We watched the live musical performance by the Diversity Trio at the exhibit. Afterwhich, my son went for two rounds of slide before heading back for the plane chess game. It was not engaging and interactive for the little ones. Adults might be able to appreciate it. That's how we spent our Saturday afternoon without Papa around.